Ahoy Mateys! This full size pirate ship is a knockout party rental. 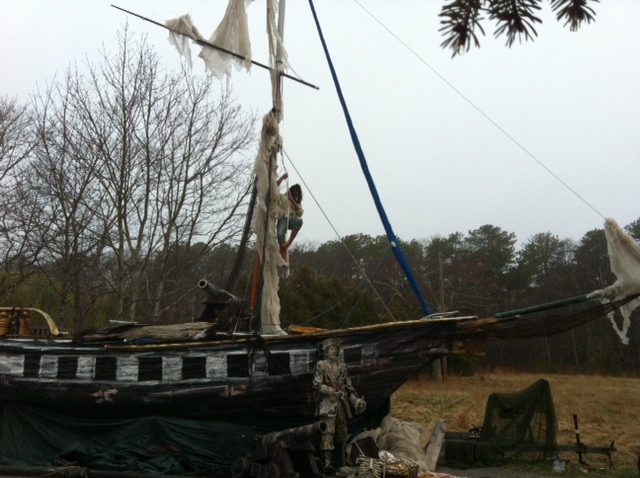 The ship is on a trailer that pulls up to your event and is displayed with Peg Leg Pirates, Hanging Pirates, cannons, muskets, treasure chests, sea turtles, sharks and a skull and crossbones flag. Available for events in the New York Tri-State area. Call for price 631-283-5591.